The Kerry Way is an established walking path which is 215 km in length. Because of this, it will test the hardy tourist to the limit. It will also especially allow any visitor plenty of opportunity to explore County Kerry. 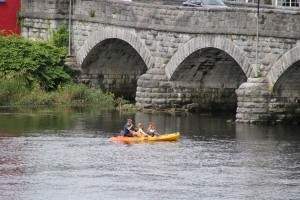 If you wish to book accommodation for Outdoor Activities in Killorglin we are ideally situated for you. The Kerry Way Route and a signposted Ring of Kerry cycling path use older quieter roads where possible. The Kerry Way roughly follows the scenic driving route of the Ring of Kerry but is longer by some 35km. There are numerous variations to the route. Some take in St. Finian’s Bay and Valentia Island which the official driving ring misses. The official cycling route takes in Valentia Island. As well as beaches, it also offers the Gap of Dunloe, Bog Village and Derrynane House. The Skellig Experience Valentia Island Molls Gap can also be explored. Torc Waterfall, Muckross House and Ross Castle are Killarney attractions which are nearby. The Ring of Kerry is a popular day trip and numerous bus companies offer circuits during the summer months. As the narrow roads make it difficult for tour coaches to pass it can be more convenient for cyclists to take advantage of the smaller spaces available. The Laune Bridge House B&B is centrally situated for those who wish to travel on the Kerry Way, whether by foot or on a bike. 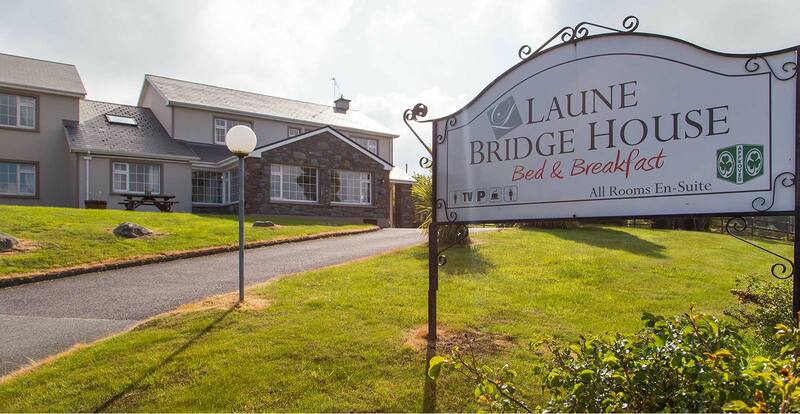 The Laune Bridge House B&B provides great value for money and is a great option for those looking for a hotel in Killorglin which is centrally located. 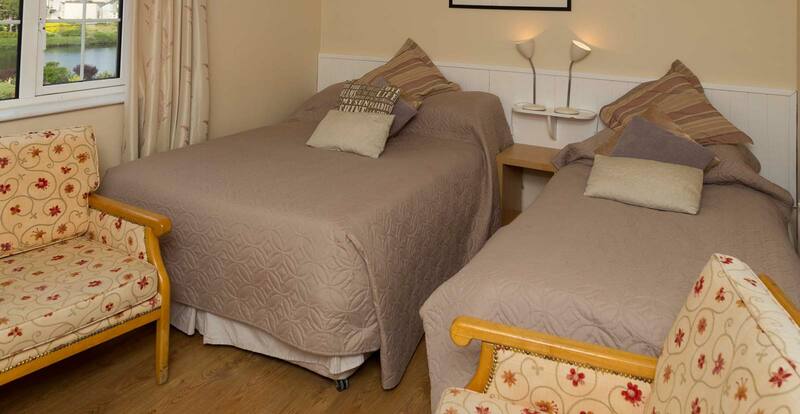 We are centrally located by the roads for those who wish to be near a B&B in Killarney. You can stay in a Hotel near Killarney or you can stay in a family run B&B in Killorglin at the side of the river Laune. That’s right – you can stay in a local family run B&B in Killorglin, County Kerry and relax for as long as you like with our free WI-FI and our splendid views.